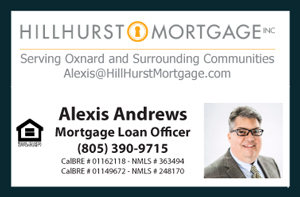 This is the Real Estate Market and Activity Report for El Rio Neighborhood in Oxnard, CA designed to help those that are selling get a better feel for the local price dynamics. This report is also useful to those looking to buy homes in this area. It helps answer any affordability concerns. It includes Sold Listings, Current Active Listings, Expired Listings and Pending Sales. This report consist of the following property types: Condominiums, Single Family Homes, and Townhouses Sold in the past six months. A total of 11 properties were sold in the El Rio community in the past six months. The Median Sale Price of a property is $460,000 with the lowest sale price of $232,471. The Median Price Per Square Foot sale price is $264.65. The Approximate Days on Market is 45 days indicating properties are selling quickly. Additionally, we are noticing that very well priced properties that are Move-In Ready sell even faster than average in El Rio. We have seen other well priced homes not as Turn-Key sell quickly due to the desirable large lots and the Rural Zoning. Moreover, El Rio neighborhood has become more desirable due to its rural setting next to the new development known as The Collection offering great shopping, dining and entertainment. Currently there is a total of 4 Active Listings includes all Condos, Townhouses, and Single Family Homes for Sale in the El Rio Neighborhood. Pending Sale are a total of 3 properties. The current Median Asking Price is $475,000 and the average current time on the market is approximately 37 days. We are noticing very limited inventory within this neighborhood. Expired Listings reflect properties that did not sell at all, usually due to price, terms and conditions not within market dynamics. Most of the time the cause is an inflated price but not always the case. The condition of the property, accessibility to show, property location and style, as well as the lack of a Marketing Plan behind the listing can play a role in NOT selling the home. In addition, properties are subject to local neighborhood market forces and city statistics which must be taken into account when selling the home.